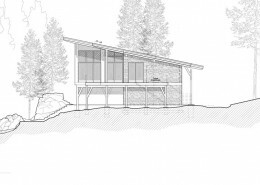 The floor plan below is an example of a hybrid timber frame design. Decorative trusses are placed on the exterior of the house at the front entrance and over the garage. 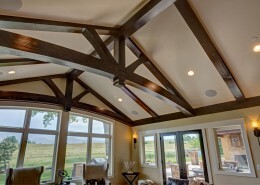 On the interior, a structural timber frame truss system is placed in the great room and decorative ceiling beams tie in the overall look throughout the master bedroom and kitchen. 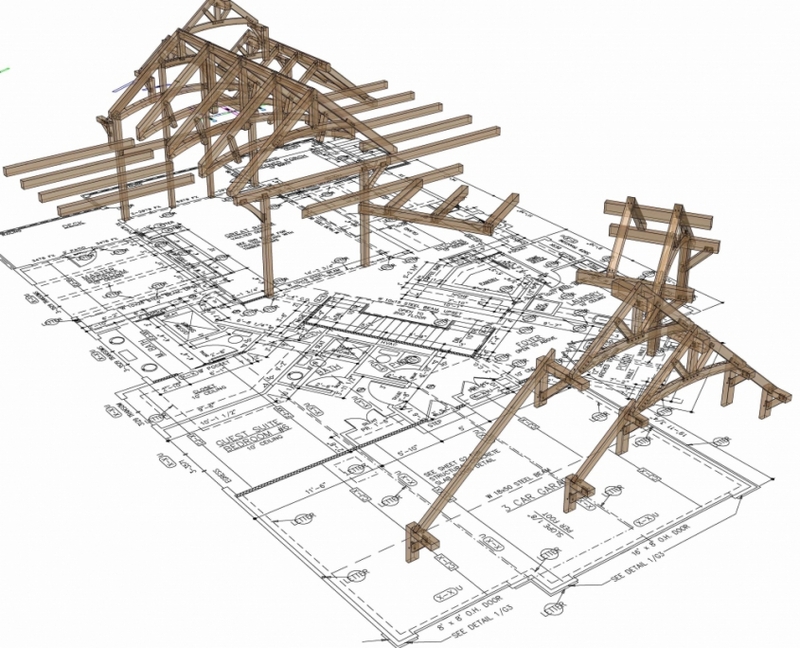 If you love the architectural aesthetic and appeal that exposed timber frame post and beam construction provides but don’t want to sacrifice going over budget on your project, you may want to consider a hybrid timber frame. 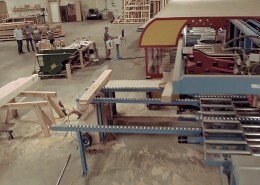 The term “hybrid timber frame” covers a wide range of options. 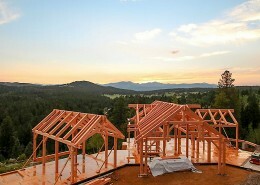 The simplest meaning of a hybrid timber frame home is combining structural or non-structural timber framing with SIPs or conventional framing methods. 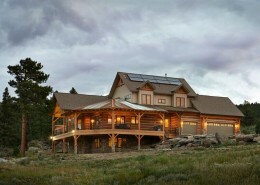 Many people choose to design their home as a hybrid timber frame for the cost saving advantages. 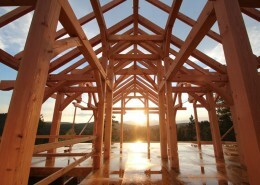 Timber framing costs about 20% more than conventional framing. 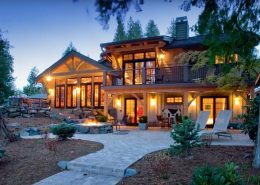 Because of this, it has become more common to focus the timber frame only in key areas of the home such as the great room, kitchen, master bedroom and foyer. The remainder of the home can be conventionally constructed without the use of any timber at all or with the use of accent timbers to tie the overall look together. In many hybrid situations, you may not even be able to point out which areas of the home were stick built because of the decorative timber components that were added. Not only does a hybrid option provide cost savings, it offers greater flexibility in design and style. With a hybrid timber frame home, you can incorporate as much or as little timber as you’d like and smaller rooms such as bathrooms and closets don’t need to be built around posts. The amount of timber exposed throughout your home is up to you. If a hybrid is the design choice for you, be sure to hire a builder or framing crew experienced in hybrid construction to ensure the two different systems work together successfully.